Dia de los Muertos, Day of the Dead, is a Latin holiday celebrated throughout Latin countries and by people of Latin heritage to honor those who have passed away. 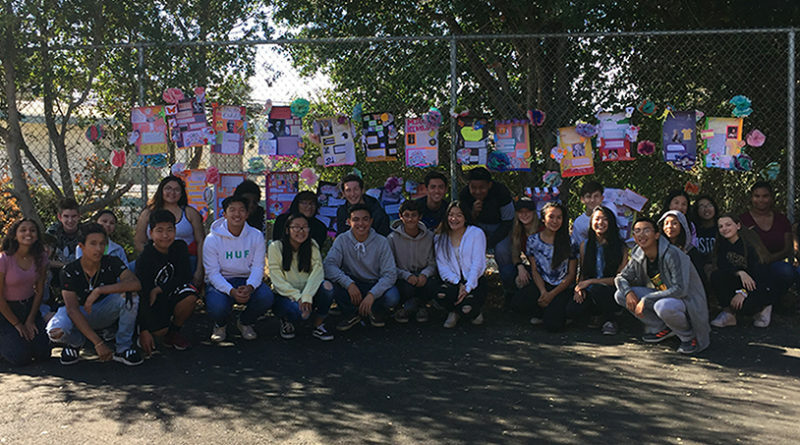 On Nov. 1 at 5:30 p.m., CVHS held a Dia de los Muertos celebration in partnership with Latinos Unidos, Puente, Black Student Union, and the world language departments. The event was held in the CVHS cafeteria, annex, and courtyard. At the event, there were multiple activities to participate in. There was dancing, face painting, papel picado making, loteria, and food. It was a potluck style event. People enjoyed pizza, rice, chicken, Mexican dishes, and a lentil stew with sausage that were brought in by people of the community. “This event is important to me because it was an opportunity to showcase my culture and share it with my peers who may have never known what Dia de los Muertos is,” said senior Alexandro Olvera. Before the celebration, there were many work parties that Latinos Unidos and BSU participated in. Latinos Unidos made ofrendas for their loved ones and BSU dedicated their ofrendas to those who passed due to police brutality. “It was really nice to see how BSU took the Day of the Dead into consideration and organized a meeting that honored that holiday respectfully,” said junior Addie Bukhari. The celebration brought the community together and allowed multiple cultures to learn about Latinx culture.